"We just came in to kill some time before heading to our destination spot. I loved the decor, vibe and ambiance. The reggae band that was playing was very nice....I would like to come back because it seems like a creative place that I would enjoy." "Crab Mac n Cheese appetizer was melt in our mouths fantastic. Gumbo Ya Ya was very authentic Cajun style with excellent flavors. Catfish, Grits, & Greens had unique seasoning that I highly recommend. Chocolate cake was light in color and richness. No unsweetened ice tea was the only negative. Parked free at the front door Service was fantastic, timely, but not over baring. Will definitely return." "The chicken and waffles is absolutely incredible. Service was prompt, drinks were great, and the good was beyond impressive. I would definitely recommend urban roots"
"Overall, I left feeling like I overpayed for my experience. Service was lacking, but the restaurant overbooked large reservations and got swamped. Their bad...Probably won't be back again on the account of downtown drink prices in a not so downtown environment. You can stick to ripping off the corporate kids with expense budgets. Oh and your beer selection was lacking. They sell lime-a-ritas if you're feeling fancy though." "The food and music were good. And my waitress was friendly and on point. My issue is with the atmosphere and the bartender. The flowers on my table were dead!....Also, serving water in plastic cups was a little hobo-ish ... I was eating there not getting food & drink "to go" which is the ONLY reason plastic ware should be involved @ a restaurant at all.Buyer BEWARE!" Here is the Urban Roots website, Facebook page, and menu which is small as Restaurant Impossible usually suggests. Here is a post on Chaya's Facebook page from right after the Restaurant Impossible makeover where she thanks God, her family, and the volunteers. Here is a VERY long Facebook post from someone who was a part of the Restaurant Impossible filming. To summarize, they think the Restaurant Impossible team did a great job at keeping the atmosphere and intent of the restaurant. They also thought the food was great and that the Restaurant Impossible crew were some of the nicest people they have ever met. Here is a blog post about the restaurant right after the makeover, which has a lot of pictures of the interior. It also revealed the restaurant closed after the makeover so they could clean up the restaurant and get it ready for business again. Chaya also confirmed that the Restaurant Impossible makeover still reflected her vision. Urban Roots is in the Deep Deuce section of Oklahoma City, which has a lot of history. There are multiple articles referencing the history of the city and it being the birthplace of music legends such as Charlie Christian and Jimmy Rushing. The city also hosted legends Duke Ellington, Cab Calloway, and Martin Luther King Jr. These articles give a lot of credit to Chaya Fletcher for trying to maintain this history of this section of the city so it is not forgotten. (Article 1, Article 2, Article 3). The Deep Deuce section of downtown Oklahoma City has a lot of history, and was once the only place in Oklahoma City that blacks could legally live. The area is being revitalized and developed with shops, restaurants, apartments, hotels, etc. Despite the history of the Deep Deuce, Chaya Fletcher is the only African-American business owner. The building that the restaurant occupies is also one of the last original buildings in the Deep Deuce section of the city. It was probably really important to Chaya that Restaurant Impossible wouldn't ruin her vision, and apparently they didn't as she was satisfied with the makeover. As far as the reviews go, there were not too many reviews, but the positive reviews complemented the atmosphere, food, drinks, and service. The few negative reviews were mostly about drink prices being a little high. It should be interesting to see how much input Robert has on the entertainment aspect of the restaurant or if he just focuses on food and the passion for cooking in Chaya. UPDATE - Urban Roots closed in June 2015. More information on the closure. In two days, Robert Irvine will bring Jesus back from the dead, and part the waters of Oklahoma River. Then they will visit the local junkyards, and re-decorate Urban Roots with all kinds of junk that will fall apart a few weeks later. This has inspiration written all over it. Expect lots of heart to hearts and a new dish that will reflect her new passion for her place. I always find myself rooting for good people. I live in wyoming and have watched restraunt impossible for a while. in all the episodes ive watched ive never thought, i really really want to go there to eat. the catfish and grits seemed interesting along with the waffels and chicken. To view these dishes on tv left my mouth watering! We dont have soul food in wyoming and i am originally from arkansas and plan to visit family soon and cannot wait to stop in this place!!! I would be so upset if someone painted my piano like Robert's team did in this episode. I really found myself rooting for this owner. They seemed like such nice people and I love that they're trying to perserve a piece of history. I just wish I lived close enough so I could go visit! This owner is the first in a long time that I felt really appreciated what RI did for the business. As much as I love this show, this is one of the few times I've actually wanted to go eat at one of the featured restaurants. I think they will make it. All of the restaurants fail. It takes more than 2 days and $10,000 to fix all of the problems, do work that gets inspected and permitted, create a new menu and train staff. All Irvine does is strut around with his amateur psychology and family counseling, never fixing the problems or training management. This show is, sadly, an abomination. And the people who call Irvine in desperation deserve better. If nothing else they deserve their dignity. Irvine robs them of any real chance to succeed and takes away their dignity. The hubris of the man and the show is dreadful. Perhaps the worst and meanest show on television. And one which hides all of its failures. Finally an intact family without psyc problems. I wish them the best. I would like to see more shows with functional families like this one. Blitz, I agree to a certain degree. I think that inherently you have two audiences; those that follow the network and show that have no hospitality background and those that have a hospitality background and "see more" based on their individual experiences. Often times these two distinctly different audiences look at same show differently. I truly believe everyone wants to see the restaurant succeed, however those that have a background in hospitality are often very outspoken and may inherently see many "issues" or "problems" in the episodes that "Joe Average" may not. I would hope that there can be "positives" to any endeavor. Brendon, I absolutely respect and identify with your posting. Unfortunately, desperate people sometimes do desperate things. I think that Urban Roots has many positive ideas and their mission statement is great. Unfortunately, some business models simply don't work for many reasons. I commend Robert Irvine and the show if they're truly trying to help others, however I believe that they're doing many of these restaurants and the viewers a disservice. I do not believe that the show is as "altruistic" as Robert Irvine would lead one to believe and I question Robert Irvine's ability and experience to truly affect lasting change and improvement in less than 24 hours and with $ 10,00.00 dollars. America always roots for the "underdog", but some prey on other's misfortune. "Guest", I totally agree with you! Many of this genre of program are based more on the drama of the dysfunctional family dynamic rather than actually addressing the problems. While I totally understand that family issues can negatively affect a business' success. Many of these episodes are looking like a "Jerry Springer" episode. I watched this episode twice because I thought I missed something? I failed to understand why the experienced and educated chef (wife) was front of house and the inexperienced barber (husband) was back of house? One would think he is already in service industry and deals with people as a barber? Perhaps he would be better with people (FOH) than food (BOH)? Robert Irvine then goes through the same sledge hammer hysterics as every other episode? It's a shame because they seem like a great couple, great parents and truly had a vision and a mission statement. It seems like Robert Irvine is more interested in a paycheck from the food network than his craft (cooking)? Why is he out "saving" other people's failing restaurants when he couldn't save his own? There's an old adage; "those who can, do, those who can't, teach"..
With respects- I went there. Its open..its good..spot on service and food and service. I think you pull your reviews from your..(a deep desire to be the "one in the know"), when you dont. Your previous "reviews" are now suspect. Yeah, a free makeover and national TV time is such an abomination, especially for a business that's about to go under anyway. If you think this is the worst and meanest show on TV...you haven't seen much, have you? Gary, thanks for the update. I was hopeful that they would make it, remain open and flourish. Another restaurant impossible show with the same tired diatribe from Robert Irvine. With a 65% closure rate on the restaurants he "revisited" doesn't the public think it's time for a different format? The entertainment value has lost it's luster and Irvine and his production staff need to start to offer more than entertainment value on tearing down menu choices, restaurant decor and cleanliness because they aren't keeping these "revisited restaurants open." Here's an idea, start to work on business economics and teach learning skills because if you continue to rely on drama for entertainment value....your closure rate Irvine will jump to 75% by the end of 2015.....and that my friend is no legacy as a chef. I hate to mention this as it should be fairly obvious. The show sells because of the format and Irvine's drama queen persona. How long do you think a show would last doing a chalk talk on business math? Even with experience and knowledge most restaurants fail for one reason or another, and it's laughable that Irvine thinks he will save these places in the long run or cares about his "legacy as a chef. (Not sure how anyone on TV could expect such a payoff)." It'll be on as long as the numbers work...just like a restaurant. Nice write-up. 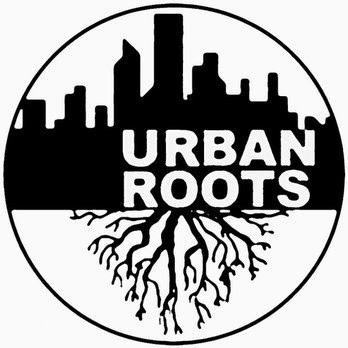 Very thorough to give us a rounded view of Urban Roots. Good to hear that Chaya is supporting the historical aspects of her business in addition to providing a live entertainment venue along with the food.